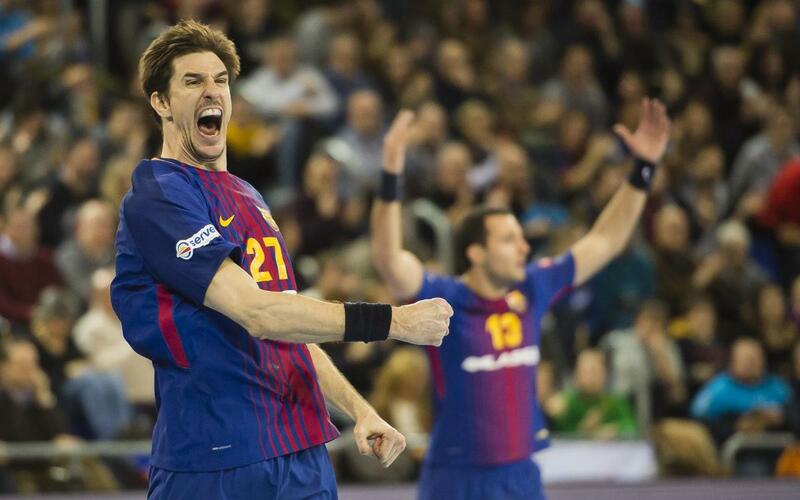 FC Barcelona made itself heard loud and clear on Saturday afternoon, beating visiting Vardar, the defending champions, 29–28, in EHF Champions League Group A play at the Palau Blaugrana. HC Vardar, which still leads the group, lost its first game of the tournament this season. Barça is third. Wael Jallouz came off the bench and scored six goals to lead the Catalans, while goalkeeper Gonzalo Pérez de Vargas made several key stops to secure the victory for Barça. Raúl Entrerríos and Viran Morros — who both started for Barça — added four goals each, as did Timothy N’Guessan, who began the game on the bench. With three games remaining in the group stage, Barça will be looking to win out and move up as far as possible before the next round.